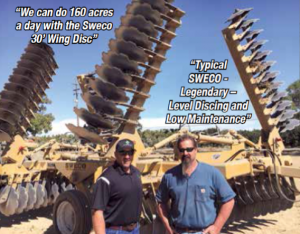 Sweco Difference | SWECO PRODUCTS, INC.
SWECO has over 70 years of experience building the best agricultural and industrial machinery in the industry. From hydraulic cylinders to laser scrapers, we focus on building quality products that our customers can depend on. Our products are designed with the customer in mind so that they offer the most precise, durable, and effective performance in the industry – that’s the SWECO difference. When you buy a piece of equipment from SWECO, you are buying the most durable equipment on the market. SWECO equipment and its parts are built to complement each other, which makes our parts readily available and service of equipment easier. All of our products are manufactured in Sutter, California in one of our two facilities. SWECO products are true domestic manufactured products from a company that has been family owned and operated since 1946. 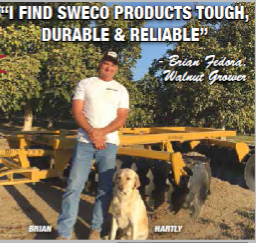 SWECO products are not only built to work, our products are built to be the best. Our products are heavier, more precise, and tried. SWECO prides itself on the quality workmanship dedicated to every piece of equipment that it manufactures. Only the finest equipment and the best parts available are utilized in the manufacture of highly durable, lifetime machinery. We know how to build special application equipment. We have been doing it for over 70 years. Our products are designed to meet the specific needs of our customers. 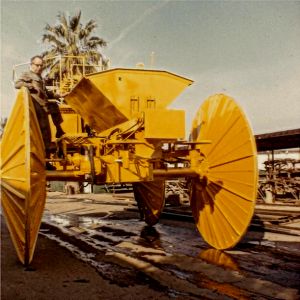 Whether we are designing and/or constructing a gargantuan wheel tractor for use in the Amazon jungles of Brazil, a salt harvester for Baja Mexico or a Tri Plane for California’s agricultural community, SWECO Products is dedicated to building products that work for our customers.